PDF Security Removal Tool will handle your crucial information with protected manner. Users information remains as it is even after removing security password from PDF documents. 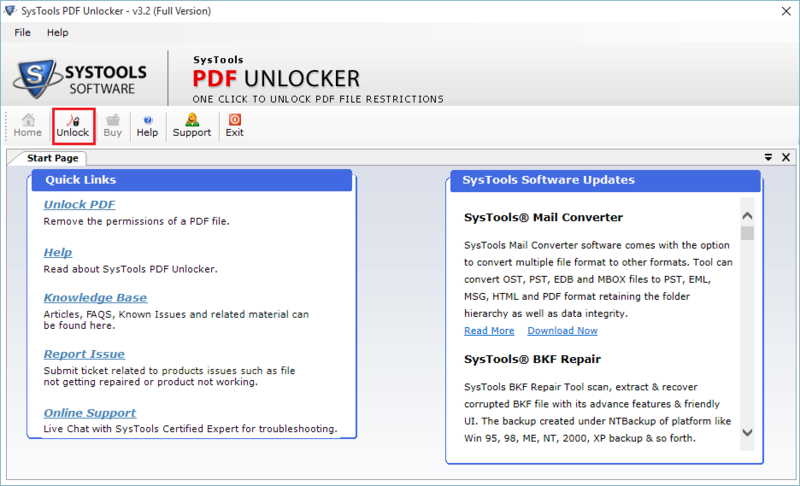 Additionally, this PDF Security Remover unlock secured PDF files without any data loss. If there is any user level password in the PDF document, then the tool will removes it too. For this you have to provide the password, when software prompts. Once you saved this unlocked PDF file, you will not need to fill password every time. PDF Security Removal Tool can be used unlock PDF files in bulk. With the Business and Enterprise license version of tool users can remove user and owner level security from Adobe PDF files in bulk mode. Users can add and gain benefits of removing security password from PDF files in bulk at one go. PDF Security Remover software generates the preview of PDF file permissions in Before & After column. As the user browses the PDF document the tool will generate the preview of restrictions present in the document. Also, these permissions get changes after the PDF file unlocking. PDF Security Remover software is integrated with advanced unlocking algorithms that help to retain original properties and metadata of PDF files. During removal of security from PDF file none of the Meta properties and integrity gets altered by software. All PDF file data will remain in its original format without any deletion or alteration issues. Once the software remove security from PDF files, users can further avail the benefits of saving all files at desirable location. By default the tool will save all PDF files at desktop. 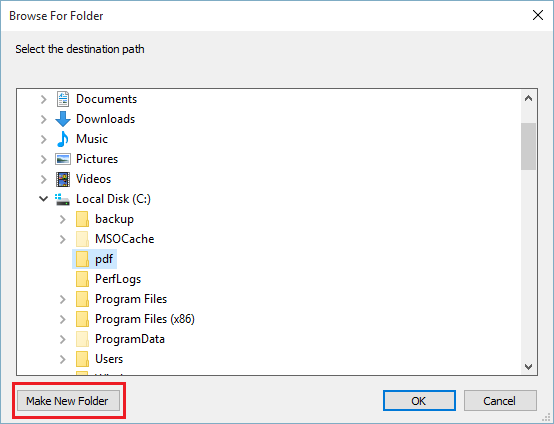 But, if the user wants to save the file at any another location then they can make new folder and save the file accordingly. If your PDF File is corrupted, then the PDF security removal tool will not be able to unlock secured PDF files. However, if the user wants to remove security from PDF files which are corrupt or damaged then firstly they need to repair the document. Once, the file gets repaired users can unlock the document. Excellent utility to unlock secured PDF files for copying/editing/extracting/commenting/signing/form filling etc. Users can also use this tool to remove owner level security from PDF files so that they can access all data effortlessly. Additionally, using Business and Enterprise license of tool users can remove restrictions from PDF files in bulk mode. This PDF Security Removal Tool will assure you that it will unlock password secured PDF file within a few seconds. It will save your valuable time while removing security password from PDF documents. Further, you can save the document at any desirable location. PDF Security Remover software helps in enabling various permissions from PDF documents. Restriction on printing, copying, editing, signing, commenting, form filling, etc can be easily removed with the help of this software. PDF file problems like encryption, password security or restrictions can be easily solved by our PDF Security Removal Tool. This advanced utility is capable enough to remove security from PDF files within a few seconds. As the process gets completed PDF permissions like printing, copying, commenting, signing, editing, form filling is enabled. Removing security password from PDF document becomes necessary for the user. It’s because it becomes inconvenient for them to enter the password every time to read the PDF file. Also, if the file is restricted to copy, print, edit, sign then in such cases it becomes necessary for the user to remove PDF security. PDF Security Removal Tool is very helpful in saving the valuable time of the users. It is 100% best, secure & virus-free utility to remove security from PDF files. Our PDF Password Removal Tool has been designed in keeping all users requirement in mind. Even novice users can use this professional utility to unlock PDF security password without any problem. Step 2: Now click on the "Browse" button to load PDF file. Step 3: Select password protected PDF file and click on Open. Step 9: Now click on the "Exit" button to close the software. Does this software support to remove security from multiple PDF files at once? Yes, our PDF Security Removal Tool helps in removing security password from PDF in bulk. But it is necessary that the user must have the Enterprise or Business License. Personal License allows to remove security from single PDF document. Will there be any PDF file damage by the software while removing security password from PDF document? No, it will not harm any things in your PDF files, the PDF Security Removal Tool is completely safe to use. Is there any file size limitation imposed by the PDF Password Removal Tool? No, there is no file size limitation imposed by the software. Users can remove security from PDF files of any size. If I know the security password of my PDF file, why should I need to remove PDF security? Before removing security password from PDF document, the file is restricted to print, copy, modify, comment, sign. But this PDF Security Removal Tool will helps remove both passwords as well as restrictions from PDF files. How much time will take to remove PDF security? This PDF Password Removal Tool can unlock secured PDF files within a few seconds. Does it support to remove PDF security from corrupt or damaged files? No, the software does not allow the user to remove security password from PDF files which are corrupt or damaged. It is necessary to recover the corrupt PDF file to make it healthy; then only tool will support to unlock PDF security. 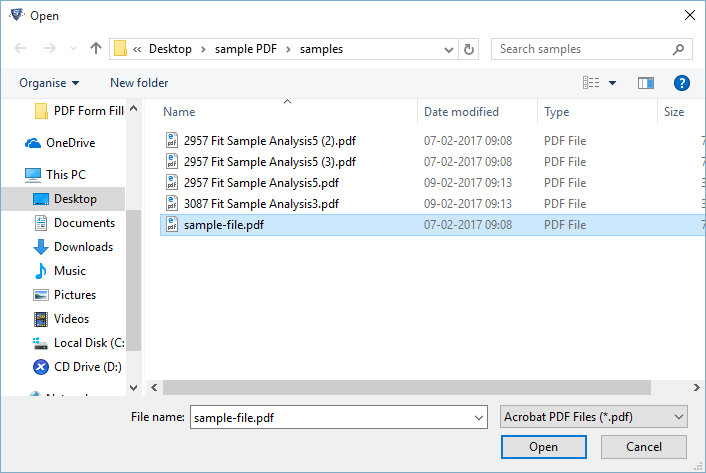 Is it possible to remove security from PDF files with the demo version of the tool? Yes, of course teh demo version of the PDF security removal tool can remove PDF security but the resultant file will contains the watermark. I have used PDF Security Removal Tool for removing owner level restrictions from 20 PDF files in one go and would like to appreciate the working of tool. I must say the interface of the tool is perfect for all types of users, along with that none of the original data saved in PDF file gets hampered during security removal process. Keep it up guys! It's a wonderful creation. PDF Security Remover is an expert utility that helped me to unlock secured PDF files copying, editing, printing and extracting PDF files data without any guidance. The tool is fast, reliable and affordable approach to remove PDF security password without taking any prior training or guidance. © Copyright 2011-2019 | All Rights Reserved.